Yeah, I know, this post was well overdue, sorry. 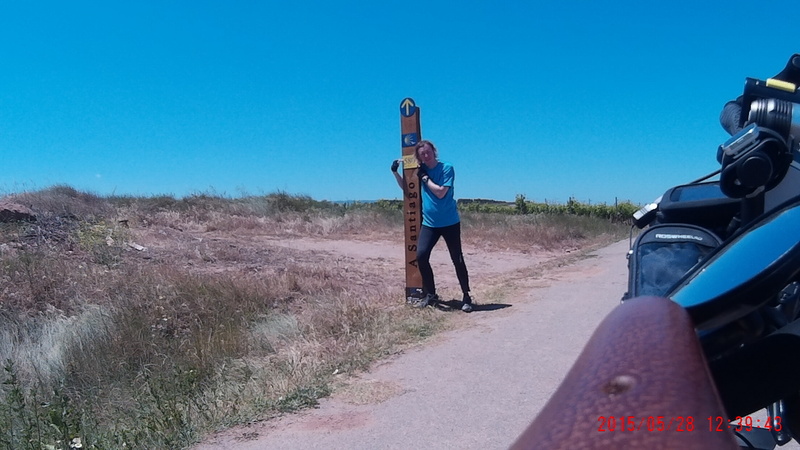 This is about the 4th day of our Camino de Santiago Pilgrimage by bike which happened on the 28th of May 2015. 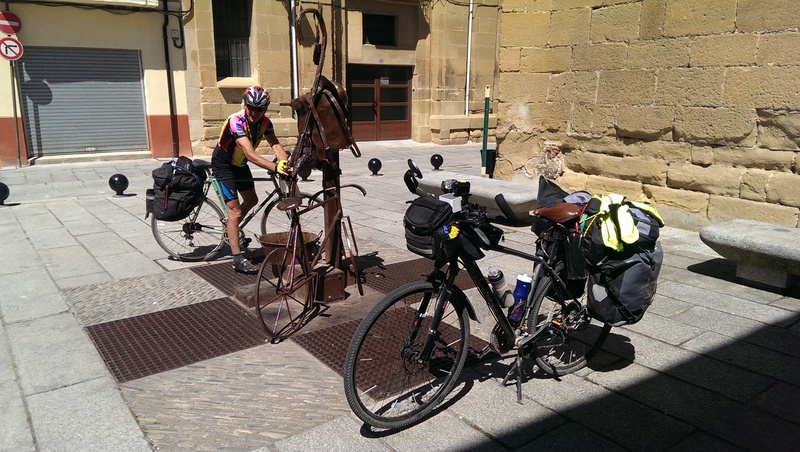 We´ve done this stage of 64.24 Km (40 miles) from Viana to Santo Domingo de la Calzada in 8h and 19m, of which 4h 54m were of moving time. We left the hostel just before 8am on this beautiful sunny day. As with previous days we were not certain where we would stop. We were trying to keep an average of 60 Km per day or, failing that, stop cycling by around 5pm, which would enable us to get to a hostel early enough to find plenty of beds available, shower and get ready for an early dinner. 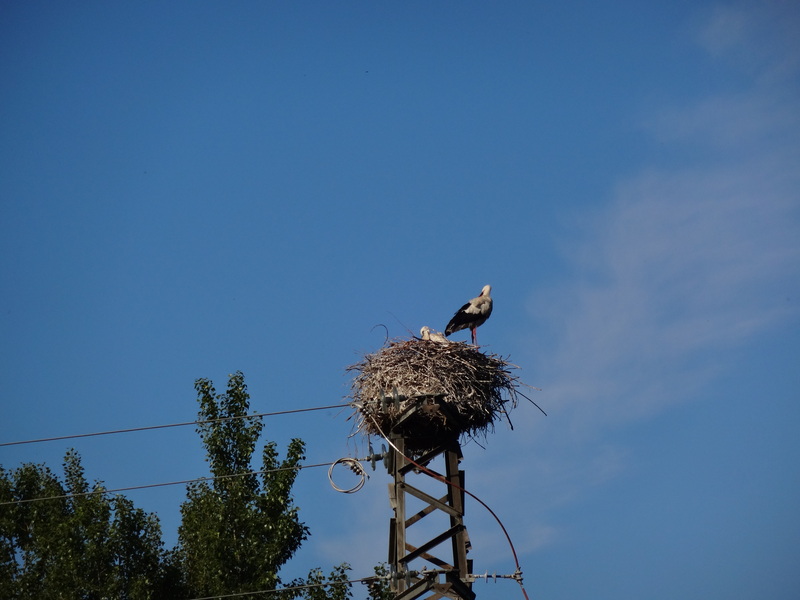 Stork´s Nest in the outskirts of Logroño. 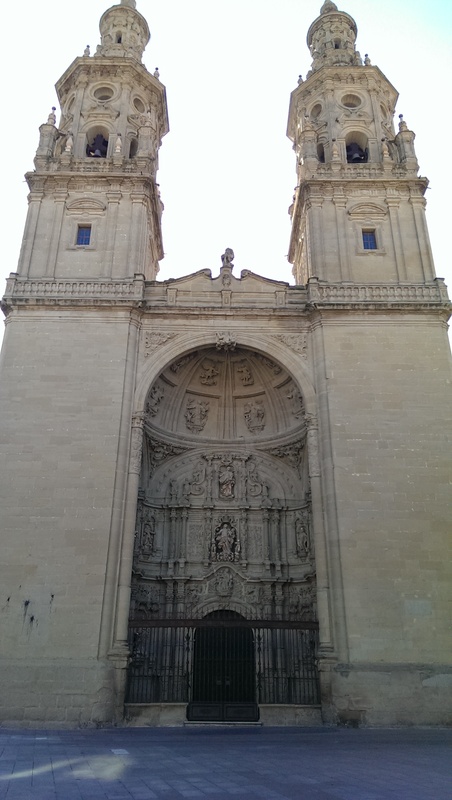 We were near Logroño, the next big city in the Camino. The initial 5 Km were on the NA-111 with another 3 Km on a very nice and wide tarmac covered, cycle path (the “red road” you see in the video). 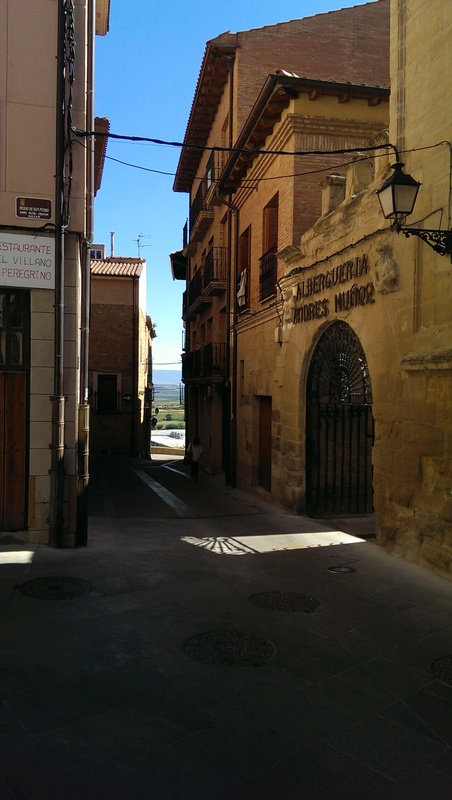 As we arrived in Logroño we crossed the river Ebro to get to the town centre and stopped briefly at a hostel we passed by to ask for directions and stamp our pilgrim´s credentials. 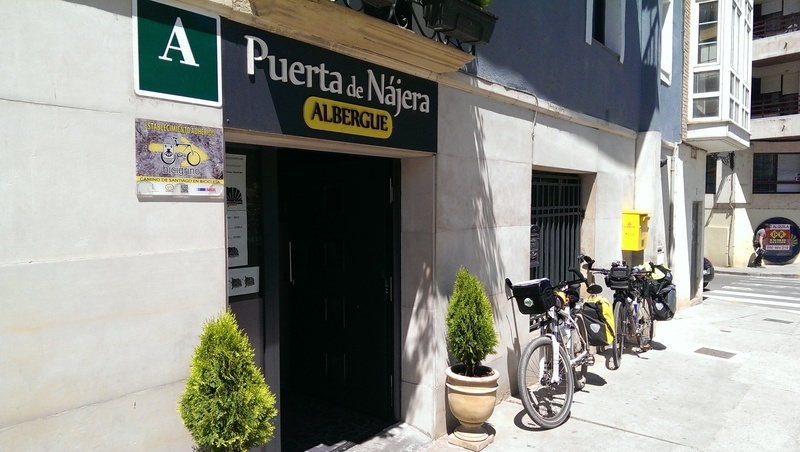 We then started to look for a place to have breakfast and found this nice and friendly café bar under the arches of Calle Portales called Calenda. 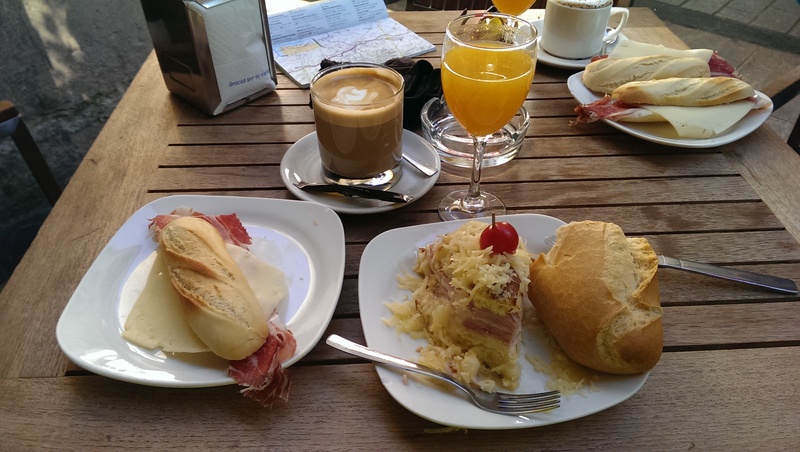 While we were waiting for breakfast to be served, we managed to contact Paula via Facebook messenger, who, unlike us, rode all the way to Logroño the day before. She was, actually staying not far from where we were. It was a pleasure to have her company for breakfast. 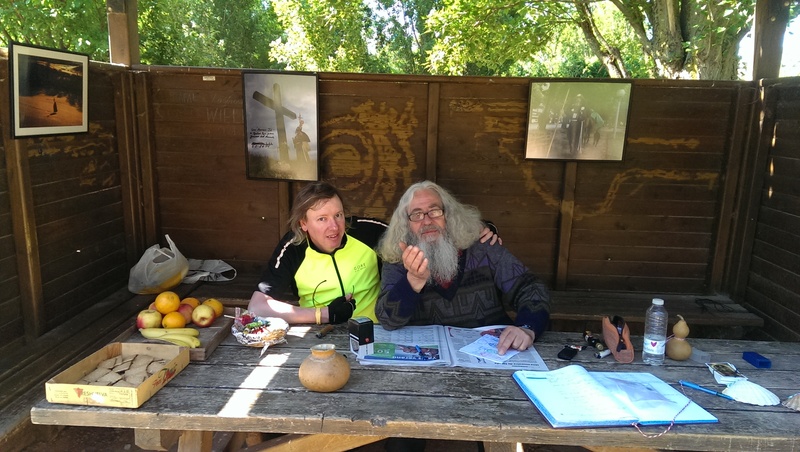 After a nice and fulfilling breakfast the 3 of us walked a little, pushing our bikes, to the tourist information centre to stamp our pilgrim´s credentials (again, yes). There was a small market in the square in front of the tourist information with music and lots of young people. Back on the bikes again we crossed Logroño riding together as a group for another 8 or 9 Km until we reached Marcelino´s “Ermita del peregrino Pasante” (hermitage of the passing pilgrim). What a nice bloke he is. I´d recommend you buy some mementos or souvenirs to help him out. The ride to his hermitage was really nice, on a wide shared cycle / pedestrian path. There were a lot of pedestrians and runners on the path though, so caution is advised. Next stop was the small town of Navarrete on a mix of minor road and dirty roads/tracks with a few places in which we had to push our bikes. In Navarrete we had some water and a bite to eat. From Navarrete we continued on the NA-120 for another 5 to 6 Km where we left the road and continued on a dirty road that followed besides the A-12 motorway for 2 to 3 Km and then turned right onto another dirty road in the direction to Ventosa. After Ventosa we took some dirt tracks that proved quite difficult in places. This dirt track actually led us back to the same dirt road that ran besides the A-12, so we later realised we had made a big detour for nothing. We intentionally followed mostly the same way the pilgrims on foot do this day, but in retrospect, had we stayed on the N-120 we would have probably saved some time, even though we might have had ridden a few Kilometres more. 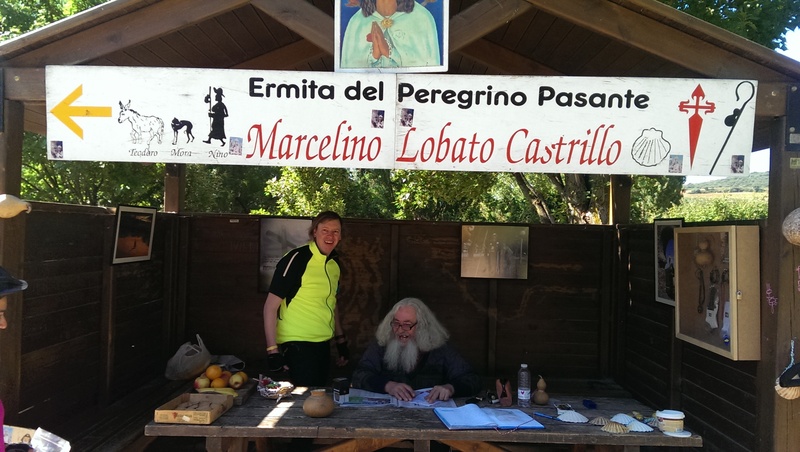 The next town was Najera, where we stopped at a local hostel to stamp our pilgrim´s credentials and rest for a few minutes. 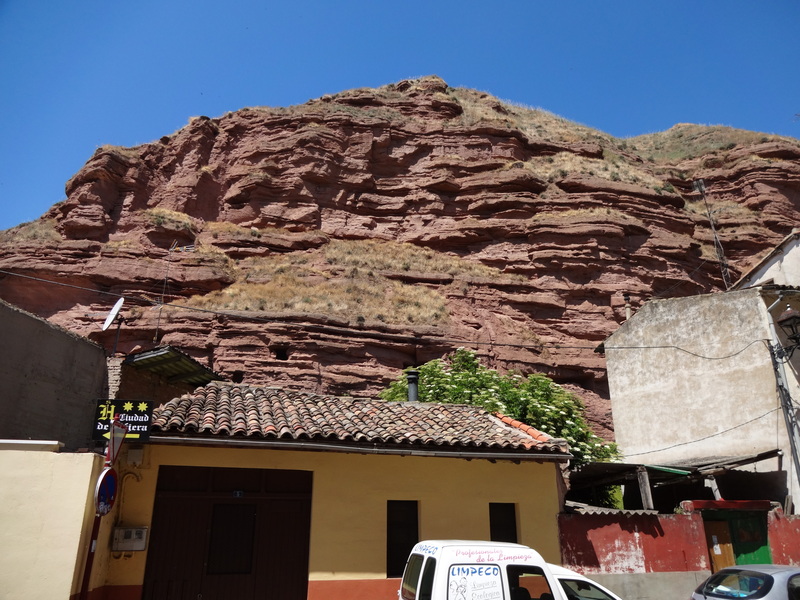 Najera has an interesting rock formation, almost like a wall on one side of the town which led to some climbs on a dirt road in good condition. 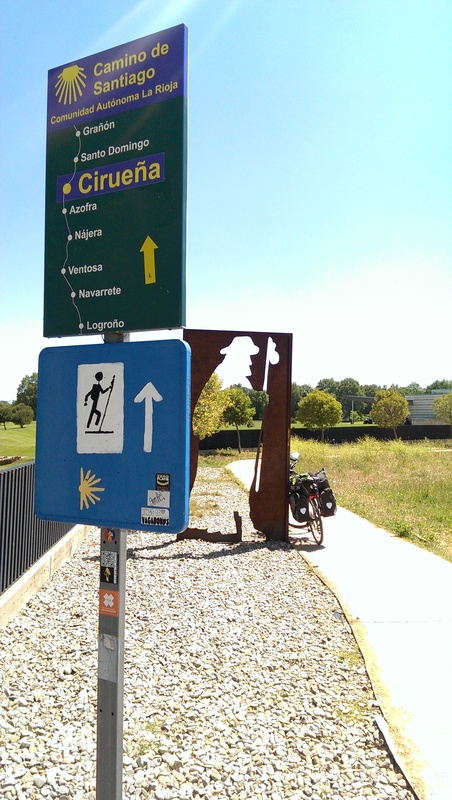 For the first time we started seeing sign posts with the distance still remaining to Santiago. I took a picture at one of them (580 Km remaining). This region has a lot of olive plantations. That is the small bush you can see in the video. restaurant welcomes pilgrims with special prices, apparently (we didn´t stop, but lunch was advertised at 6€ and breakfast 3€). We stopped briefly at a restaurant in town for some rest and water. We left Cirueña on the LR-204 which had some nice and colourful wheat fields on both sides of the road. 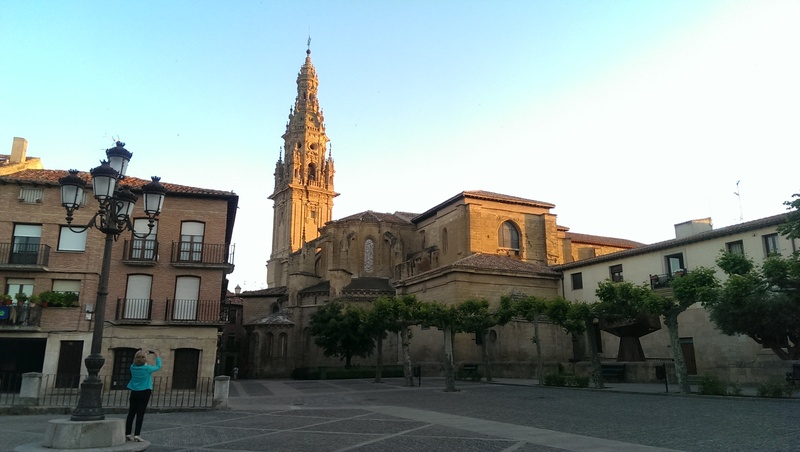 The LR-204 took us straight into Santo Domingo de la Calzada where we stopped for the night. Almost at the same time as we arrived in Santo Domingo so did Paula. If we had agreed on a meeting time and place it would have probably not worked so well. Bike Pilgrims are nothing new. Paula, Fernando and I stayed at the same Albergue, the “Abadía Cisterciense” managed by sisters of the monastery of Nuestra Señora de la Anunciación. The albergue is very basic and the rooms felt a bit tight, with rooms that you have to pass through to get to other rooms sometimes. 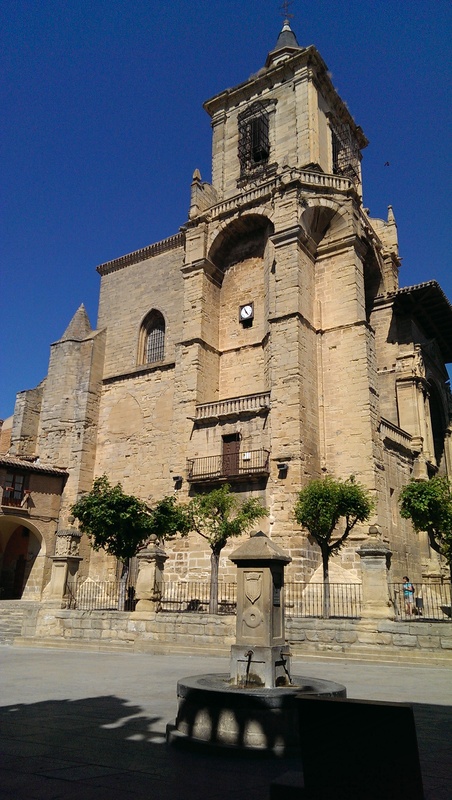 It’s a building built around 1609, 330 years old, so no wonder the design is a bit odd. The rooms I saw had no bunk beds. It was 5€ a night. After we settled down, the 3 of us left the hostel in the early evening to find a place to eat and it was in the restaurant that we met Elenice, also from Brazil. After dinner we all had a walk around town together. 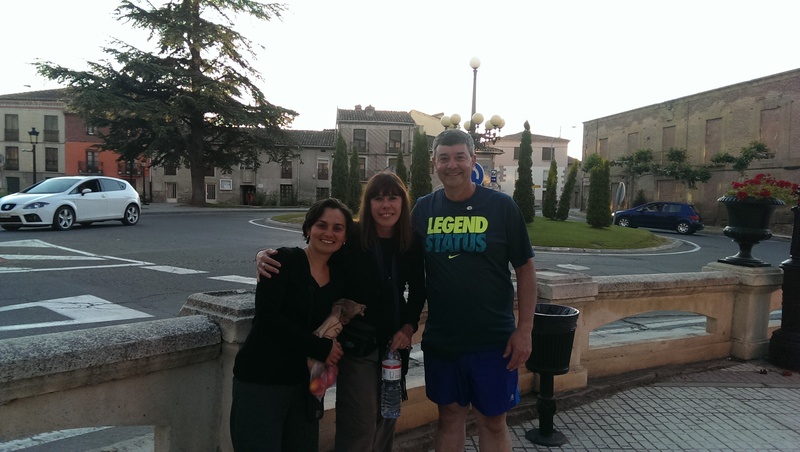 Elenice was walking the Camino, so after that day we never saw her again, but we all kept in touch through Facebook ever since and I am aware that after returning home Paula and Elenice accidentally bumped into each other in São Paulo, a small city of only 25 million inhabitants… small world this one we live in, isn´t it? If you visit Santo Domingo, make sure you go into the cathedral as they keep a live Hen and a Rooster by the altar in a small chicken coop, which may seem odd until you learn about the legend of the Hen that sang after being roasted.